As the premier forum for global economic governance, G20 was successful in warding off the global economic crisis of 2008-09 and preventing it from becoming a full-blown depression. 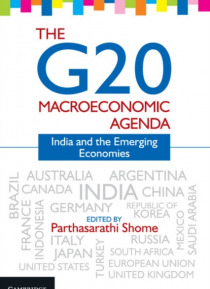 This book assesses the progress of the G20 with a focus on India. It discusses the role India has played in the success of the G20 process and, more importantly, delineates the possible barriers to India's enhanced inv… olvement in the G20, and in global governance in general. As the global economy remains mired in uncertainties - stemming from the Euro crisis, lacklustre economic performance in the United States, and slowing of major emerging economies - this volume fills the need for a collection of analytical research papers from the perspective of emerging economies, and takes stock of the performance of the G20 thus far. It also points towards the unresolved issues and the future course of action in global financial and macroeconomic stance.